Mourning Free, Olivia’s trusted childhood friend, knows how to run a farm and is also sorely in need of a new start in life. The problem: though born in a free state, he’s the orphaned son of runaway slaves and the slave catchers who patrol the north hunting fugitives are not particular about who they take back south with them. Not without qualms, they set off together. All goes well, despite the drudgery of survival in an isolated log cabin. Incapable of acknowledging her feelings for Mourning, Olivia thinks her biggest problem is her unrequited romantic interest in their young neighbor. 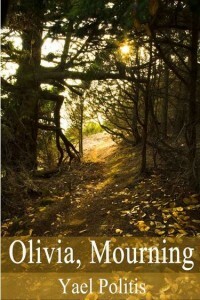 Olivia, Mourning is the first book in a two books series with 4.9 out of 5 stars from Amazon reviewers. It’s available for free today, January 27, 2014 and tomorrow, January 28, 2014. For more free eBooks, check out our 10 Websites to Download Free eBooks list, as well as our Free eBook of the Day archive.